A perfect tragicomedy from Alexander Payne, About Schmidt‘s measured pace and delicate wit make it a refined joy to watch. After the death of his wife and subsequent discovery of her affair, retired insurance actuary Warren Schmidt takes a road trip across America to regain some control over his life. 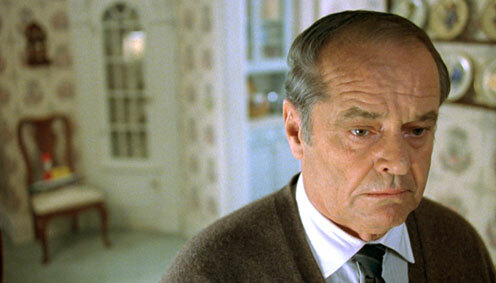 Jack Nicholson acts with surprising restraint throughout in one of his subtlest performances since Five Easy Pieces, a film directly referenced here with a roadside café scene in which Schmidt dutifully accepts the waitress’ ordering policy, in contrast to the confrontational encounter from 1970. This scene neatly sums up the overall tone of About Schmidt – the grudging realisation that life is just a series of flawed relationships and quiet disappointments. Painfully funny in every sense. The world has become uninhabitable through pollution and a surplus of junk, with a cleaning robot and a VHS copy of Hello Dolly! pretty much all that’s left of civilisation on earth. The opening section of Wall-E is an ingenious, dialogue-free account of WALL-E falling in love with advanced probe robot EVE, only for her to attempt to blast him to pieces at every opportunity. 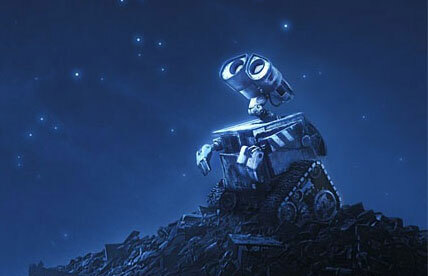 As you’ll no doubt gather, Wall-E is a very unusual animated film, even by Pixar’s standards. The film unapologetically refuses to pander to young children (or even some adults!) in its political and ecological agenda, or with its subtle visually driven story, but embraces anyone happy to ride the film’s daring science-fiction concepts. In fact, it’s almost unthinkable that the Disney corporation would put out a film openly criticising the homogenous consumer society of America, considering their huge merchandise range and theme parks, but here it is! With a bold scope of ideas, a delicate emotional impact and stunningly realised artistry, Wall-E can sit proudly alongside Fantasia, Beauty And The Beast and Toy Story as one of the greatest animated films of all time. 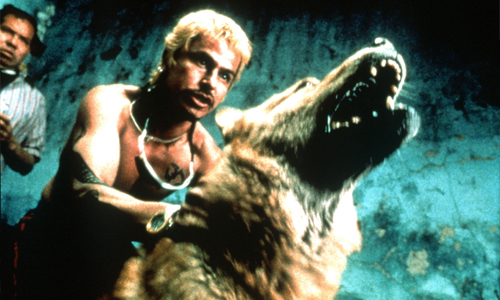 The film that first catapulted the Mexican New Wave on to the international scene, Amores Perros is an astonishingly visceral and profound viewing experiences. Consisting of three starkly different stories, all featuring dogs and all centred around a pivotal car accident, the opening ‘Octavio and Susana’ sees Gael García Bernal become involved in the dangerous pursuit of dog fighting and the closing ‘El Chivo and Maru’ is the surprising story of a professional hitman (Emilio Echevarría) living as an apparent vagrant surrounded by his pack of beloved mongrel dogs. 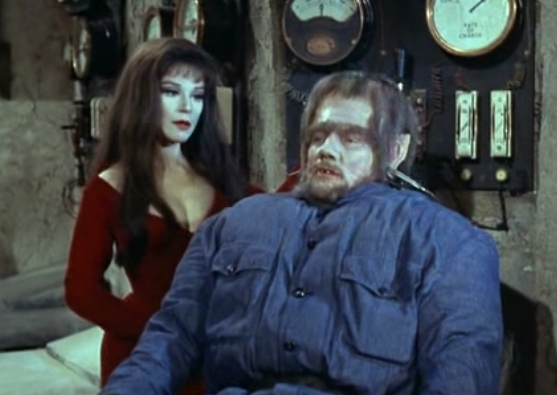 But my favourite segment is the central ‘Daniel and Valeria’, a curiously moving tale of a supermodel confined to a wheelchair who loses her dog beneath the floorboards of her new apartment, the trapped pet paralleling the restraints of her life and relationship. The first, and best, of Iñárritu’s loose ‘Death Trilogy’ along with 21 Grams and Babel, Amores Perros is a smouldering cinematic powder keg waiting to explode across your senses. Five years after the September 11 bombings seemed the appropriate time for a series of dramatic responses to the event. Oliver Stone’s World Trade Center was a disaster movie with a heart, but the twin towers attack could hardly be presented with more affecting power than in the startling 2002 real-footage documentary 9/11. So Paul Greengrass approached the tragedy from a different angle, presenting in real-time the brave resistance of passengers aboard United Airlines Flight 93, the hijacked plane that failed to reach its planned target. 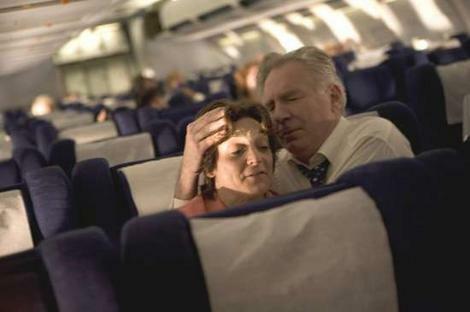 Filmed with permission from the victim’s families (though one can barely imagine the heart-wrenching catharsis they must have experienced watching it), United 93 is almost unbearably explicit in its unfolding of events. A difficult and controversial film for sure, but a defining piece of emotive cinema, with Greengrass’ vérité style simply documenting the horror without compromise. The fractured and deceptive nature of memory forms the basis for this mind-bending romantic comedy from writer Charlie Kaufman. Taking the pioneering visual trickery of his music videos to the big screen, Michel Gondry perfectly channels Kaufman’s stream of consciousness into a beautifully lucid flow of imagery. Jim Carrey and Kate Winslet appropriately play against type in a film that essentially reinvents cinematic storytelling as it goes along. 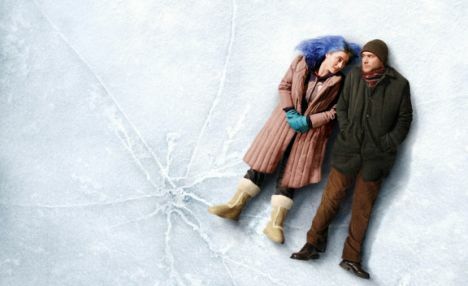 Structured with dizzying ingenuity and presenting its ideas with impressive clarity, Eternal Sunshine Of The Spotless Mind is one of the most satisfyingly contorted assaults on mainstream cinema. 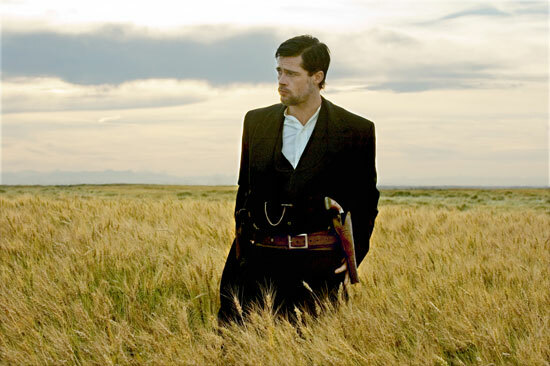 The greatest exhumation of the Western since Unfogiven and one of the most beautiful films of the decade, The Assassination Of Jesse James By The Coward Robert Ford is a rueful psychological study of the criminal mind, of lonely landscapes and eager mythologizing, all filmed with impeccable mood and lighting. Brad Pitt embodies the ageing Jesse James with a growing paranoia and gradual acceptance of his own inevitable demise, manipulating his friendship with the young wayward gang member Robert Ford (Casey Affleck) to seal his legendary standing. Affleck is an absolute revelation in the complex role of the troubled and insecure Ford and several sequences, including a shocking train hold-up, are among the best the genre has ever delivered. 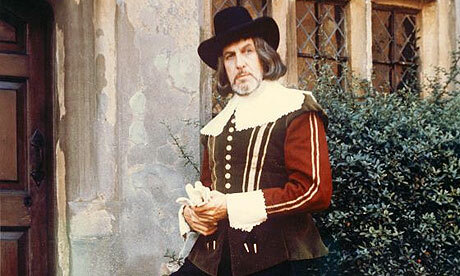 A stunningly photographed, epic character assassination. 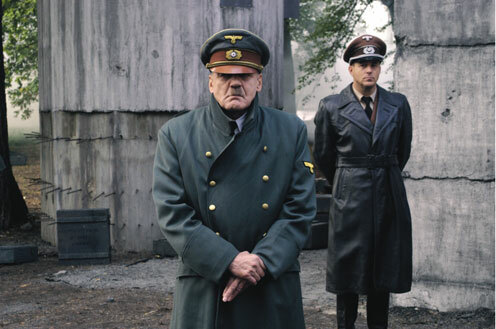 The first major German film to feature Adolf Hitler in the central role, Downfall presents us with the last ten days in Hitler’s bunker, Oliver Hirschbiegel filling every moment with a chilling tension and a true sense of irrevocable decay. Bruno Ganz, a legend of the German New Wave, pulls off a remarkable feat by humanizing Hitler as a dimensional character but offering no sympathy for him, instead we are witness to his spiralling madness and pain as power slips from his hands. But there’s an emotional attachment from the Führer, with all activity in the bunker seen through the eyes of young personal secretary Traudl Junge (Alexandra Maria Lara) who is not complicit to the evils of the Nazi regime and offers an important central heart to the film. Downfall is one of the most powerfully vivid depictions of a specific time and place you could ever see. Having perfected the serial-killer shocker with Se7en (1995), David Fincher turned the whole concept on its head with this amazing procedural thriller. Following the lives of Crime Reporter Paul Avery (Robert Downney Jr), Political Cartoonist Robert Graysmith (Jake Gyllenhaal) and San Francisco Detective Dave Toschi (Mark Ruffalo) over a 20 year period, this is a serial-killer film where the destructive evil is not so much in the perpetrator as within those who obsessively hunt him down and the effect on their relationships and careers proves devastating. Although Fincher punctuates the narrative with several bravura murder (or attempted murder) sequences, and even sneakily offers a false suspenseful ending, the majority of Zodiac is taken up with the gripping and insightful study of three characters destroyed by their own haunted quest for the truth. With its ambitious and subtle use of effects, its refusal to make things easy for the audience and a unique approach to its topic, I’ll stick my neck out and say that Zodiac is Fincher’s finest film to date. Having made the greatest romantic film of the 1990’s with Chungking Express, the great Wong Kar-Wai repeated the achievement and then some for the 2000’s with the sublimely gorgeous In The Mood For Love. No film has ever achieved the same mesmeric beauty seen in this tale of unrequited love in 1960’s Hong Kong. Chow Mo-wan (Tony Leung) and Su Li-zhen (Maggie Cheung) fall for each other after discovering an affair between their respective partners, but refuse to take the same destructive path themselves. 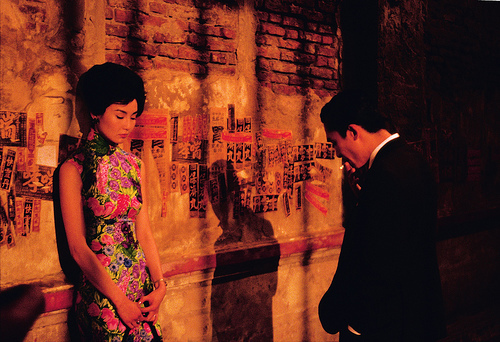 Imbued with deep reds and yellows, and put to an incredible string score from Michael Galasso and Shigeru Umebayashi, In The Mood For Love is a sumptuous treat for the eyes and a tender sensation for the heart. Also highly recommended is the 2004 sequel 2046 which traces the aftermath of the unconsummated affair. One of the few out-and-out Horror directors to carve out a critically lauded career of art house/genre crossover films, David Cronenberg distilled the best of both areas with his incredible noir-thriller A History Of Violence. 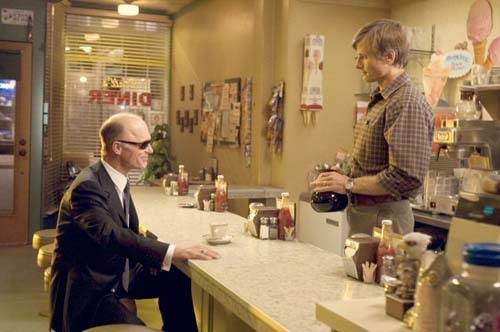 Viggo Mortensen plays the mild-mannered diner owner Tom Stall, whose past catches up with him when he becomes a local hero after an attempted robbery. With a dark nod to the bleak character studies of film noir and an obvious debt to Straw Dogs, this riveting thriller is rich with social and evolutionary metaphors, Tom’s secrets representing mankind’s innate need for violence both for success and survival. Allowing plenty of scope for Cronenberg’s brilliantly explicit gore, but also for a revealing meditation on the nature of violence, A History Of Violence has become the essential first port of call in this director’s remarkable “body horror” of work. This entry was posted on January 26, 2010 by fantasticvoyages. It was filed under 100 Films Of The Decade, 2000's, Lists and was tagged with Alejandro González Iñárritu, Alexander Payne, David Cronenberg, David Fincher, Michel Gondry, Oliver Hirschbiegel, Paul Greengrass, Pixar, Wong Kar-Wai.